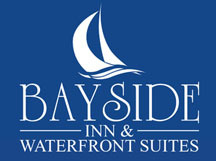 If you consider yourself to be a person who has a passion for quality, a vocation for customer service, love working in a team environment, and the ability to manage change, then we encourage you to join the Bayside family today. We are always looking for enthusiastic and dedicated people who are committed to delivering the highest level of service to our guests in a luxury environment. If you have a hospitality background in guest services, housekeeping, or sales and marketing you are most welcome to apply.